Like everyone else, I am trying to understand how such a sleazy and personally obnoxious individual as Donald Trump was elected President of the United States. We know that his core supporters are white working-class voters. We also know that our relatively stagnant 21st century economy has been very difficult on blue-collar workers. But here is another thread. 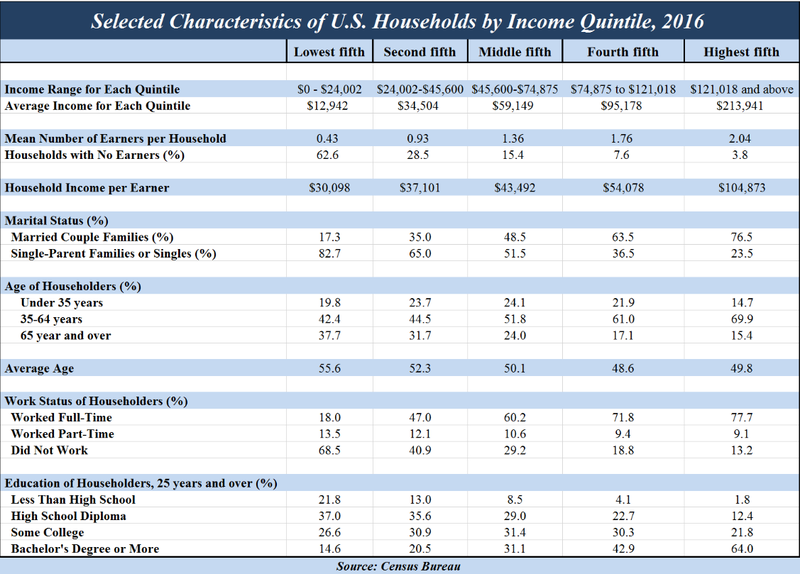 The author, Richard Reeves, in the new book “Dream Hoarders” makes a strong case that the real inequality gap in the U.S. is not between the top 1% (the wealthy) and the bottom 99% but rather between the top 20% (the upper middle class) and the remaining 80%. 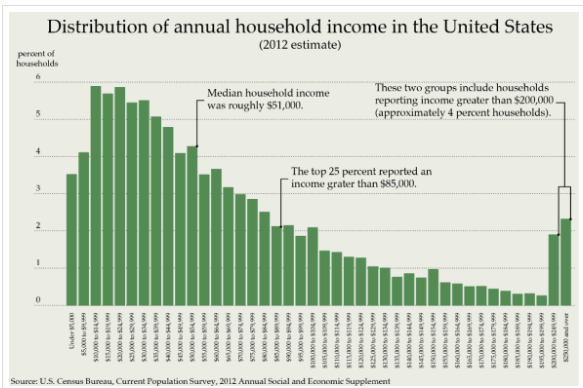 The top 20% consists of households with an income above $112,000 per year (see chart). 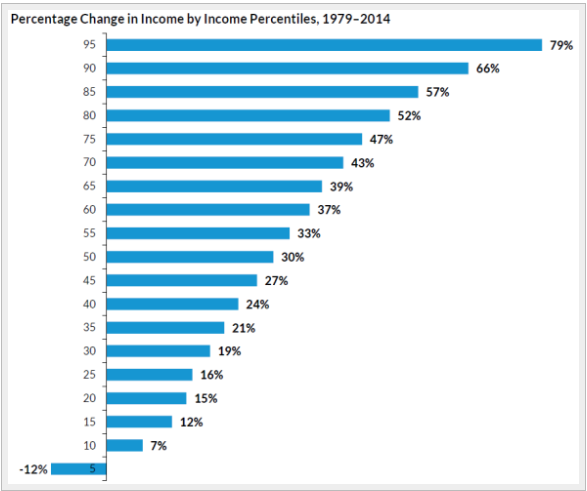 Such households saw a $4 trillion increase in incomes between 1979 and 2013. 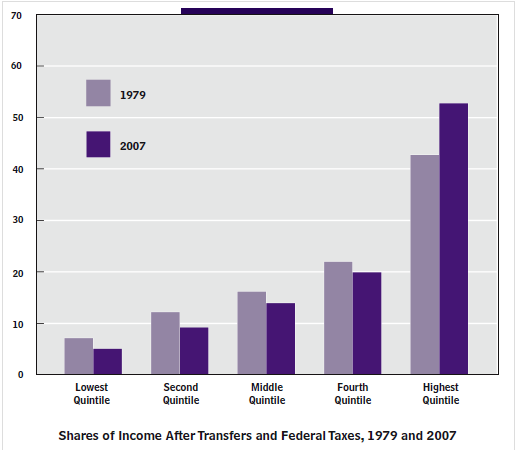 A third of this income rise went to the top 1%. 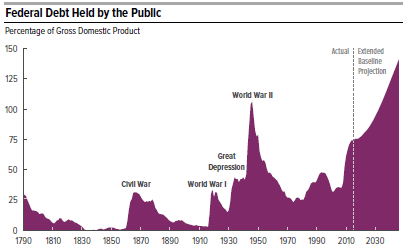 But this still left $2.7 trillion for the next 19%. The lower 80% saw an income rise of $3 trillion over this same period. 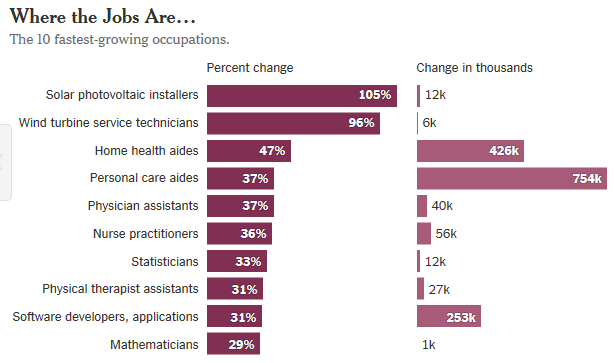 The top 20% are the highly educated doctors, lawyers, business managers, academics, think tankers, journalists, etc. 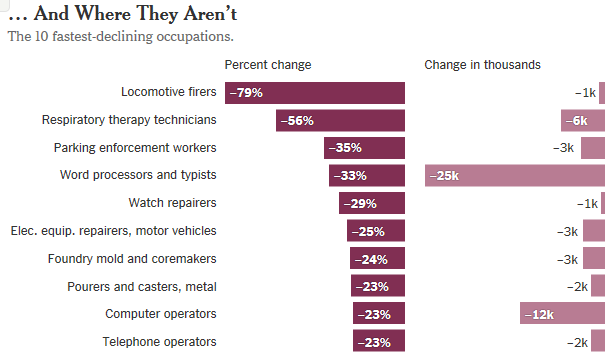 These are the people who flourish in a global economy, largely shielded from the intense market competition faced in the nonprofessional occupations. Donald Trump tapped into the anxiety of the lower 80%. He received 58% of the total white vote but 67% of the votes of whites without a college degree. The upper middle class tend to perpetuate their inherent advantages. They tend to have stable marriages and live in the best neighborhoods with the best public schools. They can afford to send their kids to the best colleges. Most of their kids will remain in the upper middle class. Conclusion. 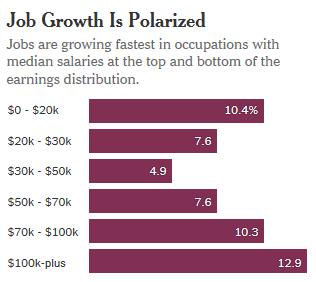 Such a thriving and self-perpetuating upper middle class can cause severe resentment amongst the bottom 80% who have to work much harder to make ends meet. 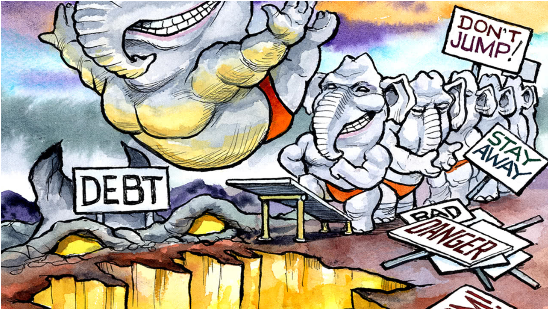 How should this very difficult problem of entrenched elitism be addressed? Stay tuned!